Visual Retailing — How Fashion retailers can seduce their shoppers to buy. Article 1 of 2. How Fashion retailers can seduce their shoppers to buy. Article 1 of 2. One of the most important topics discussed at our weekly project meetings with our customers is how to increase the sales performance on the shop floor. Retailers are confronted with challenging times, but the good news is there are also over-performing retailers. Obviously, the main question is: how are they doing that? We believe it is not solely about implementing the best cost saving program to increase profits, but it is also about being creative. The main question that retailers should ask their respective teams is: Are we really focusing on the shop floor and are we doing enough to seduce our shoppers to buy? We believe that the average fashion retailer cannot think about this enough. Many retailers are complaining about the shopper who is only visiting, but does not convert into a customer. They often refer to the so called “show rooming” effect: at the end of the day the shopper leaves the store without buying and orders at web-shops. Having this said, companies like Zara, John Lewis and adidas are still going strong and not only in their online business, but also in traditional retail. We at iShopShape believe that a strong combination of creativity and use of technology empowers retailers to make a difference. Read all about that on the next article of this series! Photo by Agnese Sanvito, More information on this project at NEON webpage. 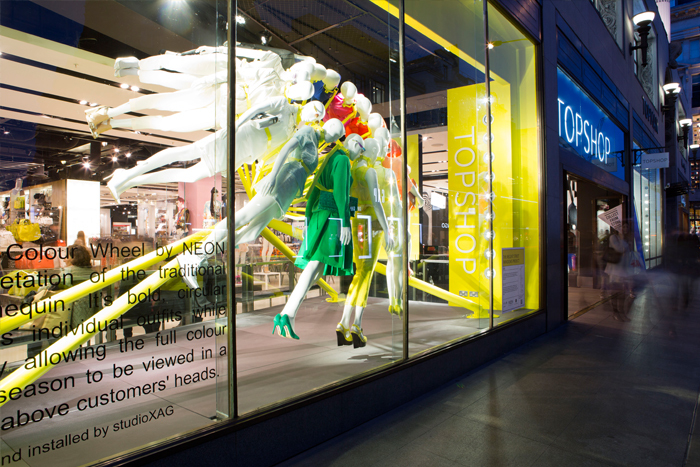 How Fashion retailers can seduce their shoppers to buy. Article 2 of 2.